Add the brown sugar and stir until fully dissolved. Pass through a filter cloth or colander into a measuring cup/jug. 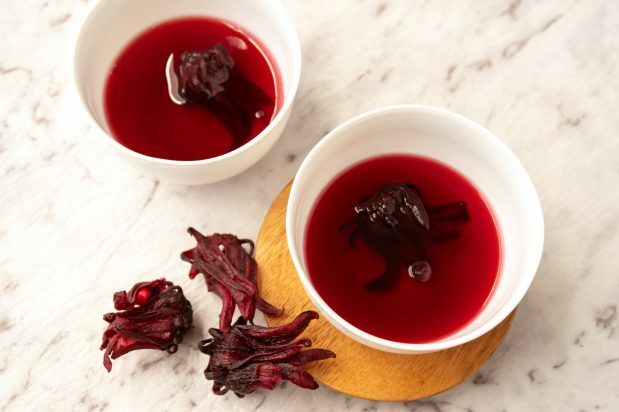 Pour the roselle tea into serving glass. Serve with a slice of lime.